Move easily from Summer into Fall. Even if you're not ready to place Fall on the brain yet, this B-Ball Low Sneaker from Common Projects will have you equipped without thinking too hard. 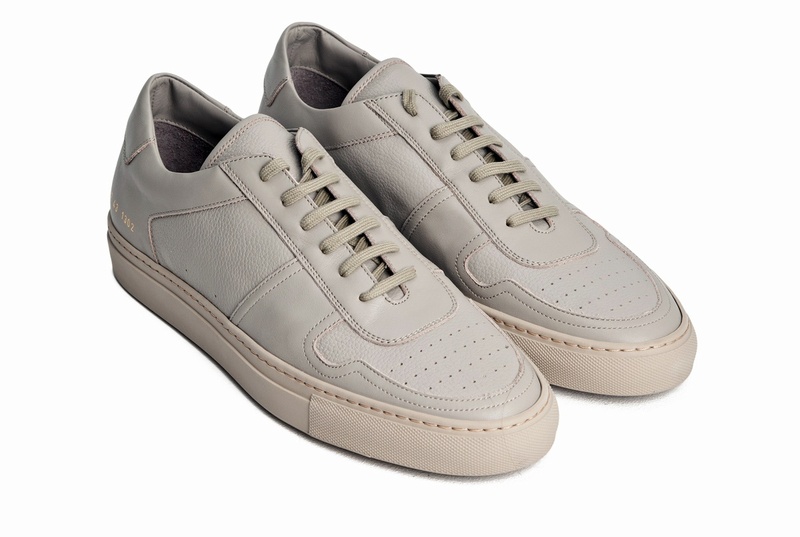 Boasting a full neutral grey leather upper, this shoe is a cool intraseasonal dress up or down, premium material piece of footwear that also offers a leather and suede lining. Pair this with your Summer Bermudas and tanks and then with your Fall varsities and trim denims. Ease of transition confirmed! Available now at Très-Bien.com.